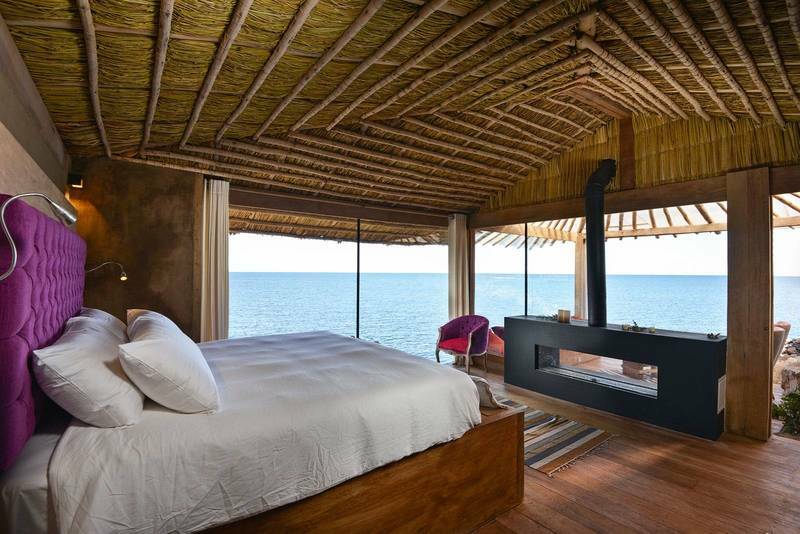 Amantica Lodge sits castled on the rocky shores of Amantani Island. This mystical place offers savvy travelers a unique and authentic experience surrounded by the breathtaking scenery of Titicaca Lake and the preserved nature of the island. It offers a dream out of time in a unique and spectacular environment. Meet with the natives, try their day to day life and enjoy a local and mostly organic cuisine, finally feel the energy and serenity of Amantani. Smartly built following traditional techniques, and using local and sustainable resources. The Lodge produces its own solar energy. You will be greeted by your private chef and Oswaldo the host, native from the island.